SOCHI, Russia, May 11 (Reuters) - Vladimir Putin showed off his stick skills with a goal and two assists in an amateur ice hockey game at a 2014 Sochi Winter Olympics venue on Tuesday. Sporting a red jersey with blue trim and the number 11 on his back, the Russian president led a team of officials, businessmen and former players to a 9-5 victory over an amateur selection in the annual Night Hockey League festival game, the Kremlin said. But perhaps the highlight of the night was the moment Putin took an embarrassing spill, tumbling to the ice with limbs flailing. The 63-year-old sports fan was seen fist-bumping team mates, waving to the crowd and firing shots at the opposition goalie. He was then handed a large trophy by former Soviet Union player Alexander Yakushev. 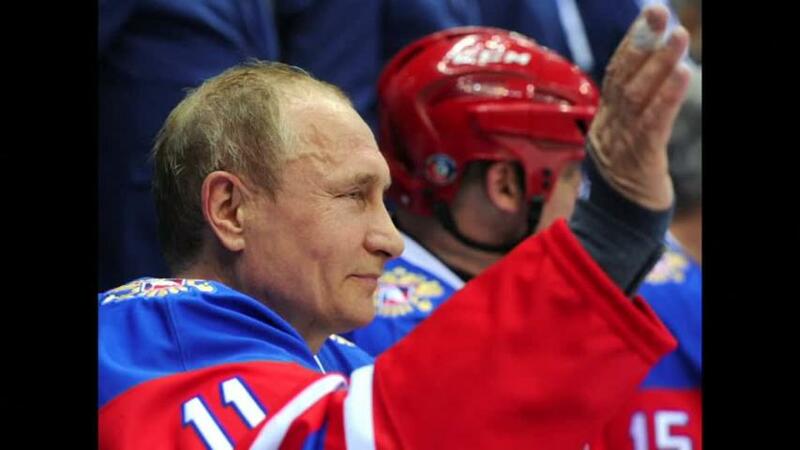 Despite his team's victory, Putin might be a bit disappointed with his performance. According to Quartz, last year Putin "scored eight goals in May and seven in October. And who can forget his six-goal, five-assist tour de force in 2014?" A judo black belt, Putin has often shown off his sporting prowess and has previously been seen on television playing ice-hockey, exercising in the gym, riding a horse, diving to the bottom of the Black Sea and flying a hang glider.